The Native Watercraft Ultimate FX 15 Tandem is a complete redesign of the Ultimate series that offers more stability, storage room, and features than the original. It features the High-Low First Class Seating system which has two height options and can slide forward and backward. The hull has been flattened out for more secondary stability and for more space for standing or storage. The Ultimate FX 15 features two tight line trolley kits, numerous Groove Tracks for accessories, Easy foot rests, and an all new 2 inch drain hole. The Ultimate FX 15 Tandem can easily be converted to a solo by removing one of the seats and the thwart. The Ultimate FX 15 is a super stable hybrid fishing kayak that's easy to load for a weekend of fun and fishing on the water. This is a great kayak. By far the most comfortable seats and deck in any boat I've been in. You trade speed and weight for comfort but it is worth it. I have been able to take it out both tandem and solo and it has exceeded my expectations. The trim/ weight distribution is important in the solo position I have found. It paddles awesome in the tandem position with a better weight distribution, and 2 people can get this boat moving along like a beast. I like the bow hatch, it is great for added secure storage. It should come with the kayak. It is a wide boat, I use a 240cm paddle and I am only 5'8 and it is a good fit. So many ways to outfit this boat! It will be a lot of fun. Fishing, camping, photography, this boat will be able to do it. Very versatile. It is heavy, but I am able to car top it by myself. I use the Rhino universal side loader and I load it onto a Subaru Crosstrek. I use the paddle logic Trail trekker Maximus to cart it/portage. That is an incredible kayak cart and it can handle the Native with ease. ACK should sell them. I got this kayak with the rudder option and it is very helpful in this boat. Makes fishing easier, and drifting while eating your lunch more fun. This is an expensive boat, but it is a boat I will be keeping for a long time. I can rig this so many ways and I am able to transport it solo. Quality construction and a great design. I have ordered parts and goodies from ACK through the years but I have never ordered a kayak from them. My boat shipped from Texas to Central Oregon without a blemish. Tracks great and watertight. Perfect boat for the lakes and waterways of Central Oregon. Thank you ACK and Thank you Native for making this boat. Great Kayak. We have really been enjoying the yak. Have made several fishing trips. On a 3000 mile trip in car with the kayak on a trailer now. Will get some river and lake fishing in. ACK is a great place to buy your Kayak or any of the accessories you need. There customer service is great. I would buy again and use ACK all over again. The ultimate FX tandem is very stable and easy to paddle. My wife and I have used it on flat water lakes so far and find it a very enjoyable way to sightsee and get some exercise. We have not yet did any fishing with it , but should be no problem. It is very roomy and comfortable for extended time on the water! Q: Does it come with paddles? Q: I see that the blue FX15 is pictured with tan seats and the red is pictured with gray seats. Does the buyer get to choose the color? A: The pictures aren't completely up to date; all of the seats are now gray. 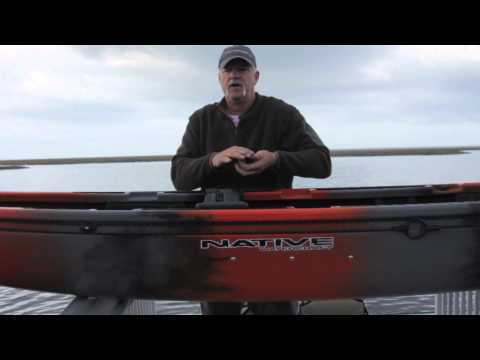 Q: In terms of paddling efficiency, how does the Native FX15 compare to the Malibu 2xl? A: The Native FX15 will be a bit faster and have better tracking because of the added length. Q: The description says that this Kayak is a sit-on-top type. However, it look more like a sit-inside style. Is it truly a sit on top kayak? A: Yes this is a sit on top, it is a hybrid of a canoe almost and a sit on top kayak. Q: How well will it perform with one solo (when the wife isn't along)? A: Hi, Thank you for the question. The FX 15 will paddle well with one person. It will also provide ample storage room with the front seat removed. Q: How difficult is this to be loaded and unloaded from on top of a Volvo wagon or VW vanagon (I have both) ? If so, is it a two or more person job only? I read the previous model was lighter but it's d/c'd. A: We always recommend 2 people for a 15 foot boat. Q: What is the shipping charge for ultimate fx 15 tandem kayak to zip code 12590? A: Shipping will be free for all kayaks with the exception of wilderness systems and hobie kayaks. Q: Can the front seat be removed to make room for a dog?